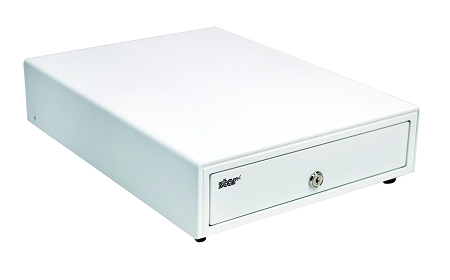 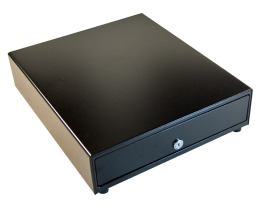 The CD3-1616 Cash Drawer is a full-sized cash drawer that handles high volume cash flow. 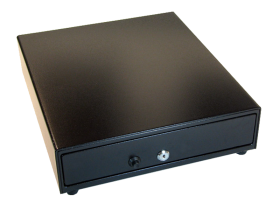 Featuring a durable steel construction and black or white coated finish, dual media slots, and a key lock at front center for manual release. 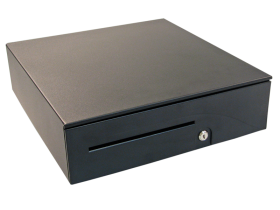 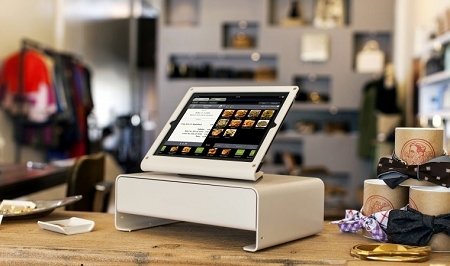 Integrates into any hospitality environment with a standard printer communication interface and bottom exit cable, hidden from the customer's view.